It’s been a long time coming, but the United States is headed back to the moon. But this time there’s one major difference—the expedition is headed by a private company and not a governmental agency. 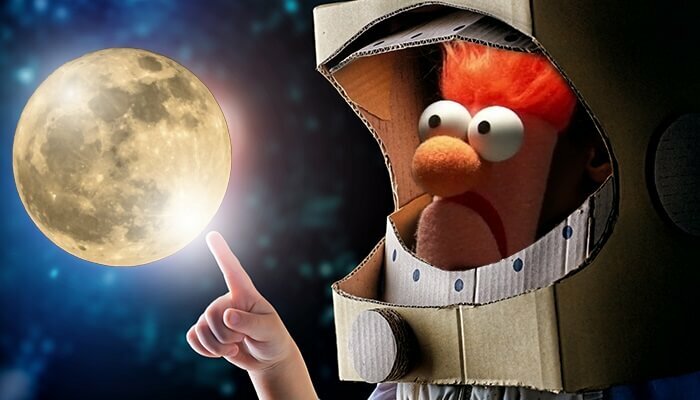 For the first time ever, the Federal Aviation Administration has given approval to a private mission to land on the moon, and Florida-based start-up Moon Express can’t wait to make history. This momentous occasion could be an extra boost to the growing commercial space industry and lead to the next generation of space exploration and development. Privately owned space companies have been growing in recent years, and many have already had successful rocket launches. However, none of them have gone beyond earth’s orbit, an area that was previously restricted to missions launched by national government agencies. But with the FAA’s approval, lunar exploration and mining company Moon Express will be the first to break the historic barrier when it sends an unmanned MX-1 lunar lander in 2017. The MX-1 lander, which weighs around 20 pounds, will have multiple jobs to do when it heads to the moon. It will launch in an Electron rocket created by Rocket Labs, another commercial space exploration company. Once it gets to the moon, MX-1 will use telescopes and other scientific equipment to run experiments and test the lander’s software to prepare it for other missions in the future. For space analysts and private company owners, Moon Express’ approval is a huge stepping-stone and one they hope will lead to bigger things for the commercial space industry. The Moon Express approval didn’t come easily—it took nearly four months to go through the FAA, the White House, NASA, and the State Department. Missions such as Moon Express’ fall under 1967’s Outer Space Treaty between the U.S. and Russia, which states that celestial bodies including the moon must be peaceful and that non-governmental agencies must get government approval. To approve the MX-1 lander, the FAA had to determine that it isn’t a risk to public health, safety, or national and foreign security. According to other space exploration company owners, this shows the need for a formal regulatory process for similar missions, which are expected to grow in the next few years. Moon Express’ approval sets the stage for other companies to get launch licenses. Now that the government has gone through the process once, other companies are expected to follow the same procedure, including Elon Musk’s SpaceX’s planned unmanned mission to Mars in 2018. Industry experts and scientists believe that eventually congressional action will be needed to establish a regulated set of review procedures. Moon Express’ approval also marks the beginning of a new wave of space exploration—one that is marked not by discovery, but by development. Many companies, including Moon Express, hope to take advantage of the vast resources available on the moon. Scientists believe there are trillions of dollars of resources available on the moon. Moon Express wants to use these to make life better for everyone on earth and eventually wants to mine the moon for resources like platinum group metals and helium-3, which are components that have huge quantities on the moon and that could possibly be a safer nuclear fuel. Other companies are developing ways to mine asteroids, harness new forms of energy from the moon, and develop areas of space for human habitation. 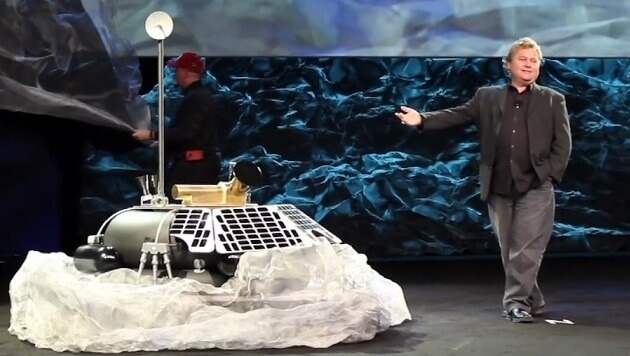 Moon Express is part of a larger initiative to get privately funded rovers on the moon. Google is currently running the Lunar X-Prize competition, of which Moon Express is a part, that will award $20 million to the first group that lands a privately funded rover on the moon, travels 500 meters, and sends high-definition video and pictures back to earth. In total, 16 teams are competing and have until the end of 2017 to reach their goal. Moon Express also makes history because in the grand scheme of private space companies, it is relatively small, with just around 40 employees. Less than a decade ago a mission like the MX-1 would have cost around $50 million dollars—today, it is estimated to cost around half that. Moon Express has been developing smaller landers that are more lightweight and more easily movable. Like other space start-ups, Moon Express is showing that small companies are able to now do what previously could only be done by large organizations. This just goes to show how space travel and technology are changing and how quickly that change is occurring. Moon Express still has work to do before it is ready for launch—the rocket it will use to get MX-1 to the moon still has yet to fly—but at least the regulatory approval is out of the way and the company can now focus on the financial, technical, and logistical aspects of its mission. With Moon Express leading the way, we could potentially soon see other private companies getting approval to launch and start an entirely new, and potentially world-changing, field of space development. Is an Elevated Bus the Answer to China’s Pollution and Traffic Problems?